These pre-built skills make it easy for you to start improving your customer experience. 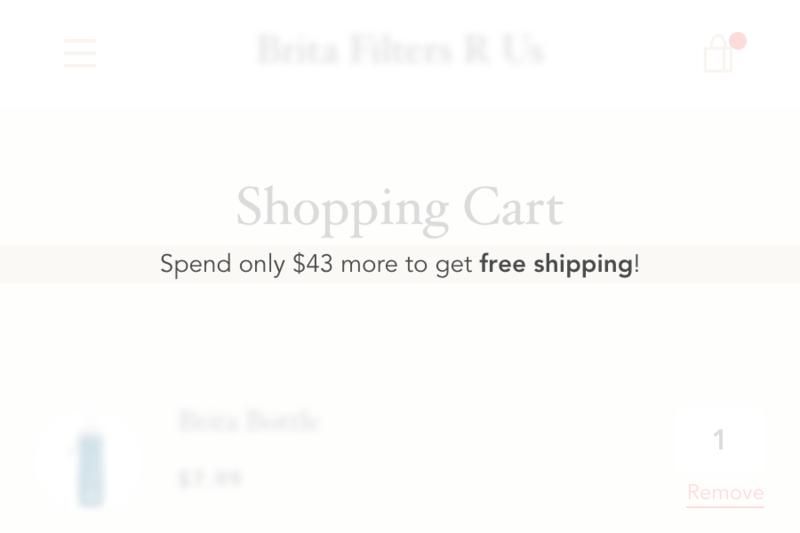 Show a popup when a customer adds an item under BOGO offer to their cart which will recommend them to also add a free product. 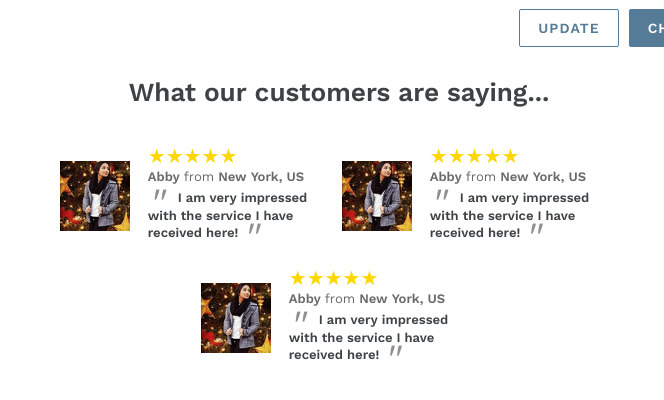 Show testimonials under the shopping cart. 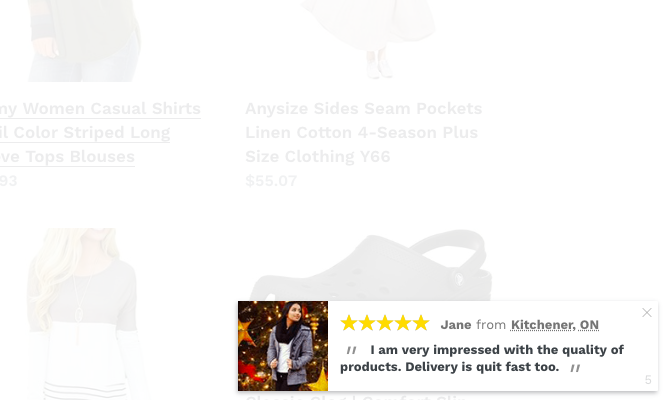 Show a testimonial as a popup notification. Show a free shipping top promo bar based on the shopper's cart. Display a flash sale timer below the price to encourage cart building with sales urgency. Show a free shipping top promo bar based on the shopper's cart, location and time on site. Keep the add to cart button visible on mobile devices. Show a count of many people recently purchased the current product. Remember shopper's size and pre-select it the next time that size is available for any product. If the shopper goes inactive while viewing a product, then push a notification to their phone/browser. Show time left to buy a product in order to get it by the soonest delivery date. Display low stock warnings and/or viewer counts in product collection grids. Show a timer in the cart/checkout to move shoppers to complete their purchase. Show a feed of recent orders and/or add to carts in your product pages. Show a "only __ left" with how many viewers recently started looking at the current product in your product pages. A top promo bar that counts down until the end of Valentine's Day (February 14th). A top promo bar that counts down until a few days before Christmas (or the specific date you specify). A top promo bar that counts down until the end of Boxing Week (January 2nd). You can also extend this countdown. A top promo bar that counts down until the end of Boxing Day (December 27th). You can also extend this countdown.